In a world where everything is digital, screens are beginning to replace face-to-face interaction. And with that lack of face-to-face interaction, brands like Amazon, Target, and Spotify have turned away from segmentation marketing and towards personalized marketing tactics - using data every step of the way. Bezos describes the idea of customer centricity as being “the host of the party.” The host wants everything to be perfect for the guest and hopes that, in return, the guest will speak highly of their experience to others and come back again. In a nutshell, placing customers in the center of a marketing strategy means making products that cater to their current needs and desires. Fortunately, marketers have plenty of tools, like social media, customer relationship management (CRM) software, and big data at their disposal to determine what those needs and desires are. Social listening adds the ability for marketers to interact with customers in real time. By addressing negative comments and reacting to positive ones, marketers can get a feel for how their brand is perceived and identify gaps in their value proposition. Additionally, marketers can leverage social media to humanize their brand. What are the stages of my particular product/service’s customer journey and am I meeting my prospects at every stage of the journey? How am I interacting with my prospects at every stage of the customer journey and is it congruent with how they interact with my brand at that stage? What are my customers’ ultimate desires and how does my product/service address these desires? Who are my most valuable customers? What is most important to them? How am I rewarding their loyalty? Who are my least valuable customers? How can I transform them into more valuable customers? Bezos emphasizes that long-term thinking is like growing a plant. After a solid groundwork is built, a seed can grow and branch out. Although Amazon has gone through a great deal of revolution as a company, they have always aimed to be trustworthy. This simple goal has laid the foundation for Amazon to grow long-term, branching into new markets without limits. In order to build consumer trust that eventually sustains long-term success, companies need to invest in understanding and leveraging their data. With a careful analysis of market trends, purchasing patterns, and pricing recommendations, marketers can adapt their products, prices, and services to what their audience wants proactively, enabling their brand to stay relevant in a constantly changing market. Humans are an innovative, inventive species. From newspapers to digital media, marketers have found new ways to cater to audiences on their terms. With the emergence of diverse consumer preferences, coupled with a cluttered digital space, marketing to demographic segments alone just doesn’t cut it anymore. Marketers have adapted, turning instead to psychographics and finding supportive tribes. Because everyone is different, treating everyone the same is a disservice to the loyal consumers. So how does a company create a customized marketing strategy? Analytics can tell marketers the demographic details of their site visitors, how visitors came across their website, and the way people engage with their website. Once marketers understand the patterns that the data establishes, customization becomes possible. This is an example of an Amazon account by blogger, Amanda Zantal-Wiener. Based on previous searches and buys, Amazon has crafted a home page with items similar to Amanda's previous interests. Customization like this leads to more unplanned purchases. 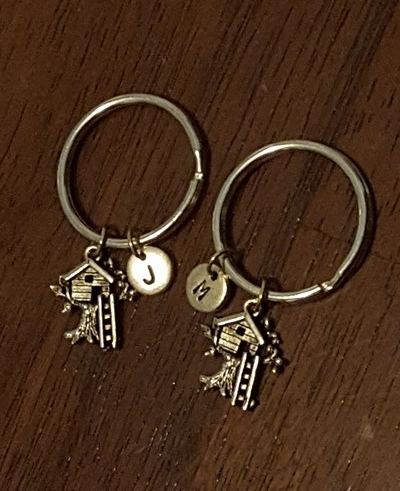 After AgencySparks CEO and founder, Joe Koufman, spent a vacation with his wife, Airbnb sent these two key chains with a hand written letter thanking them for their stay. Companies that customize their approach leave a long-lasting impression. To do customization properly, careful research, planning, and testing should take place to ensure the target market is interested and open to highly customized marketing messages. While customizing on the internet is possible due to analytics, Bezos states that sometimes “physical is stronger than digital.” If everyone in the industry is capitalizing on digital customization, try switching focus to a more tangible reminder to humanize the brand and make the consumer feel special. Note: Be wary of observing behaviors. Target was in a pickle for being too “creepy” for noticing certain purchasing behaviors and acting on it. Find the perfect balance.